Preheat oven to 350 degrees. Place a wire rack on a baking sheet and coat with cooking spray. Line bacon on the wire rack and bake 10-12 minutes, until crispy. Once slightly cooled, chop into bite-sized pieces and place in a large mixing bowl. 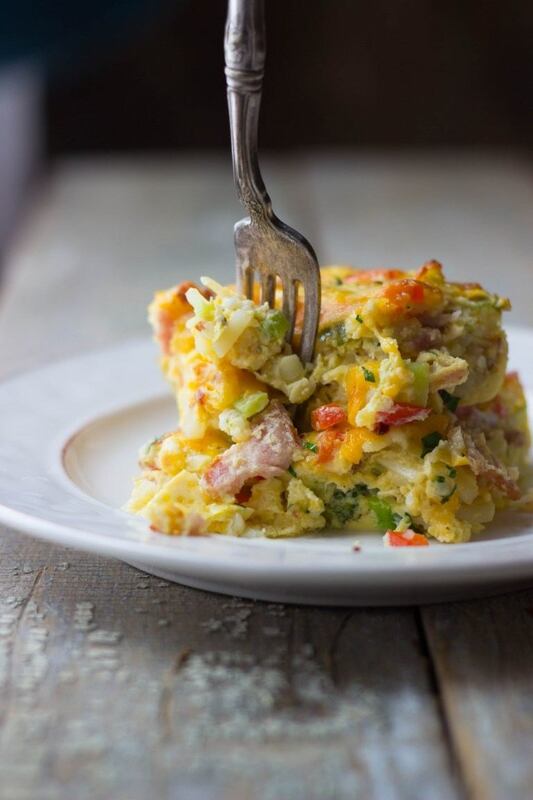 To the mixing bowl, add eggs, cottage cheese, hash browns, vegetables, 1 cup shredded cheese, salt, pepper and red pepper flakes and whisk to combine. Transfer egg mixture to a greased 9x13 baking dish. Top with remaining cup of shredded cheese. Bake 35-40 minutes, until egg is set. Remove and allow to slightly cool before slicing. Top with parsley and serve.